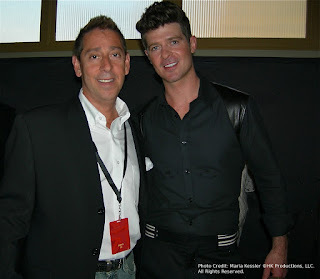 Robin Thicke has the #1 song in the country this week and I recently caught up with him backstage to talk about his journey to the top of the pop charts. 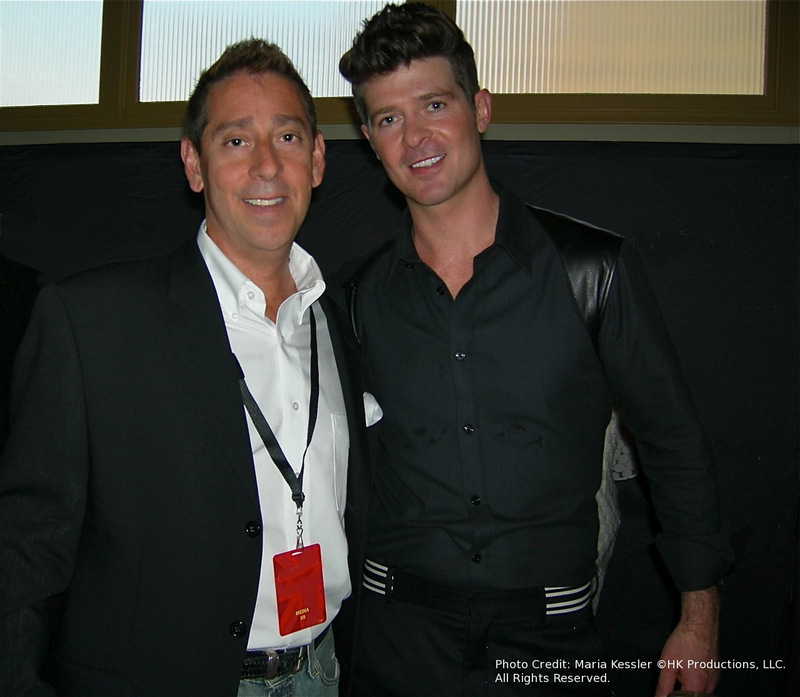 That chat and my latest reworking of his song "Blurred Lines" will be featured in this week's show. The hit has come under fire and is taking a lot of heat for being degrading to women. Robin's own comments in a recent interview didn't help matters. What do you think? Is this the price of success or do the claims have merit? Make sure you catch that interview along with my latest crop of remixes from the musical garden. I've mixed and tossed Macklemore & Ryan Lewis - "Can't Hold Us", Imagine Dragons - "Radioactive", Rihanna - "Stay" and Maroon 5 - "Love Somebody". I'm also putting the sonic HK Miracle Grow to the latest from Capital Cities, Austin Mahone, Miley Cyrus and Nikki Williams. There's plenty more musical madness and it's all going down this weekend! All your fave jams in non-stop commercial free music sets back to back and beat to beat!